Tell your love story with words and phrases appropriate for the occasion! 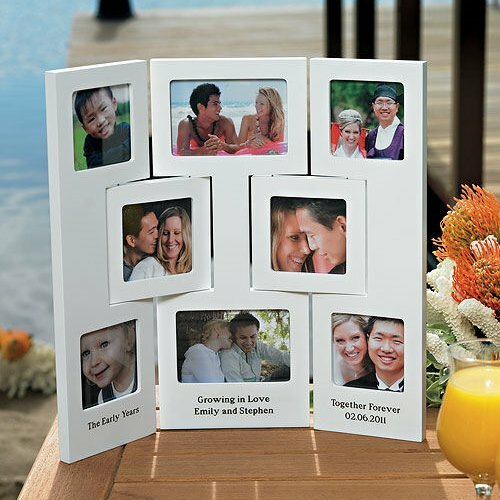 Our 3-panel frame includes 8 photo openings (two for 4" by 5" photos, six for 3 1/2" by 3 1/2" photos) and room for 2 lines of personalization on each of the panels. 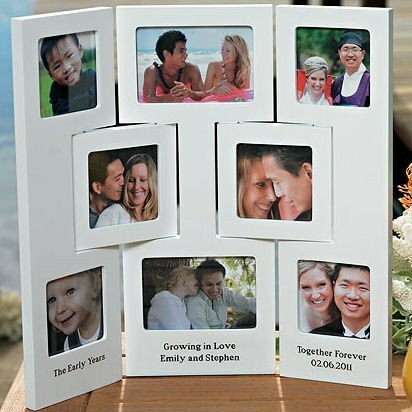 Add the bride and groom's names, their wedding date, and a special phrase or message. 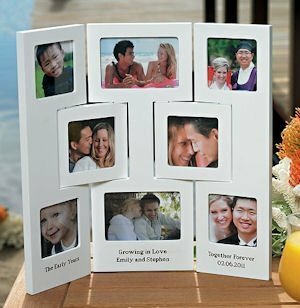 This frame also makes an excellent anniversary or grandparent gift! Available in a white or walnut finish, overall dimensions are 18" x 5/8" x 15 1/2" H.